CBDT has started accepting the ITR without linking of PAN & Aadhaar. Due to many issues in linking of Aadhaar with PAN because of Name, D.O.B., Gender etc. mismatch; However you have to mention Aadhaar Number. CBDT notifies Principle Director General of Income-tax (system) as the ‘designated authority’ for furnishing the ‘bulk information’ on certain identified parameters to the above authority in pursuance of sub-clause (ii) of clause (a) of sub-section (1) of section 138 of the Income-tax Act, 1961. Vide notification no 74/2017, dated 26th July 2017. CBDT made amendment in section 115JB of the Income-tax Act,1961 in order to provide the framework for computation of book profit for the purposes of levying Minimum Alternate Tax (MAT) in case of Indian Accounting Standards (Ind AS) compliant companies in the year of adoption and thereafter. Vide press release, dated 25th July 2017. CBEC made Clarification regarding applicability of section 16 of the IGST Act, 2017, relating to zero rated supply for the purpose of Compensation Cess on exports. Vide notification no 354/136/2017-TRU, dated 26th July 2017. .
All legal services provided by the Advocates, law firms of Advocates or LLPs of Advocates will be continued to be governed by the reverse charge mechanism. 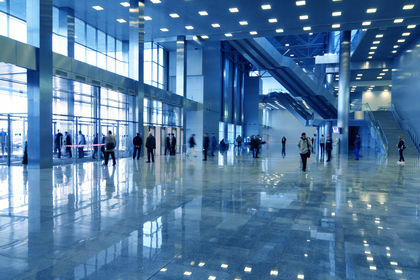 Renting of road is an Input Service-The road is used for the transportation of goods which is directly related to the manufacture of final product in the factory. 2017-TIOL-2499-CESTAT-MUM. Resubmission or Re-upload of the documents for the rejected cases. All the members whose applications are rejected can now re-upload their documents from their login from 31st July to 6th Aug.2017 period. Co. (A) Bill, 2016 has been passed by Lok Sabha on July 27, 2017 as Co. (A) Bill, 2017 & would be referred to Rajya Sabha for consideration and passing. Query: Whether input tax credit can be availed on input services and capital goods (lying in stock) when there is application for new registration or during voluntary registration under section 18? Answer: No. In case of new registrations and voluntary registrations, input tax credit can be availed only on the stock held (inputs, semi-finished goods or finished goods) preceding the day when he is liable to pay tax or preceding to the date of grant of voluntary registration. Input service and capital goods lying in stock are not eligible for ITC. Forms DIR-12, CRA-4, SPICe and INC-27 are likely to be revised on MCA21 Company Forms Download page w.e.f 29th Jul 2017. Stakeholders are advised to check the latest version before filing. CBEC, in order to have uniformity in approach among the field formations, issued detailed guidelines for re-testing of samples Vide Circular No. 30/2017-Cus dated 18th July, 2017. GST tax would be payable based on a simple return (Form GSTR-3B) containing summary of outward and inward supplies which will be submitted before 20th of the succeeding month. Invoice-wise details in regular GSTR-1 would have to be filed for the months of July GSTR-1 from 1-5 September, GSTR-2 6-10 September and August GSTR-1 16-20 September, GSTR-2 from 21-25 September. Facility for uploading of outward supplies for July, 2017 will be available from 15th July, 2017.No late fees and penalty would be levied for the interim period. Query: Whether input tax credit is allowed on inputs which become waste and is sold as scrap? Answer: Section 17(5) (h) specifically restricts input tax credit on goods lost, stolen, destroyed, written off or disposed by way of gift or free samples. Therefore, if the goods have been destroyed in full, input tax credit will not be available. However, if in the process of manufacture some inputs become waste and are sold as scrap, credit shall not be denied. Further, output tax shall be payable on sale of such waste/scrap. Over 6.83 lakh companies have a Permanent Account Number (PAN) but did not file income tax returns for assessment year 2016-17, Parliament was informed. MCA issued General Circular No. 08 /2017 dated:25th July,2017 regarding clarification for applicability of exemption given to certain private companies under section 143(3)(i) of the Companies Act 2013. MEF for the year 2017-18 is live at www.meficai.org. The last date for submission of online MEF Form for the year 2017-18 is 15th August, 2017. Updated MCA XBRL Validation Tool version and business rules CSR reporting Business Rules related to the XBRL C&I taxonomy 2016 have been revised. Stakeholders are advised to make a note of the changes and use new version of MCA XBRL Validation Tool V3.0.6 while filing AOC-4 XBRL. Group 99822 Accounting, auditing & bookkeeping services. 998222 Accounting & bookkeeping services. 998231 Corporate tax consulting and preparation services. 998232 Individual tax Preparation and planning services. 998240 Insolvency and receivership services. When an e-way bill is generated a unique e-way bill number (EBN) is allocated and is available to supplier, recipient, and the transporter. Therefore, e-way bills must be generated on the common portal for all types of movements. Who can generate e-way bill? E-way bill must be generated when there is a movement of goods of more than Rs 50,000 in value to or from a Registered Person but in U.P. the limit is Rs 5,000. Registered person or the transporter may choose to generate and carry e-way bill even if value of goods is less than Rs 50,000. Unregistered persons or his transporter may also choose to generate e-way bill. Which means e-way bill can be generated by both registered and unregistered persons. However, where a supply is made by an unregistered person to a registered person, the receiver will have to do all the compliances as if he’s the supplier. CBDT notified ‘Noida Special Economic Zone Authority, Noida’, an authority constituted under the Special Economic Zone Act, 2005 of the Government of India. Vide notification no 70 /2017, F.No.196/30/2013-ITA-I, dated 20th 2017. CBDT notified Assam State Biodiversity Board, a board established by the Government of Assam. This notification shall be deemed to have been applied for the financial Years 2015-16, 2016-17 and shall apply with respect to financial years 2017-18, 2018-19 and 2019-20. Vide notification no 69/2017/F. No. 300196/1/2016-ITA-I, dated 20th 2017. CBDT notified ‘National Biodiversity Authority’, Chennai, an authority established under the Biological Diversity Act, 2002 (18 of 2003). This notification shall be deemed to have been applied for the financial year 2016-2017 and shall apply with respect to the financial years 2017-2018, 2018-2019, 2019-2020 and 2020-2021. Vide notification no 68 /2017/F. No. 300196/01/2017-ITA-I, dated 20th July 2017. CBDT said that the non-resident Indians will not have to give details of their bank accounts held outside the country while filing their income tax returns, if they are not seeking refunds. The Income Tax department is probing over 30,000 cases of alleged tax evasion wherein the returns (ITRs) were revised by assessees post demonetization, CBDT chief Sushil Chandra said. Due date for filing of service tax return for the period April – June 2017 is 15th August 2017. Filing of certificate from the financial institution maintaining accounts of operational creditor is mandatory. Smart Timing Steel Ltd. V. National Steel & Agro Industries Ltd.  139 CLA 1 (NCLAT). UP Govt. vide Circular No. 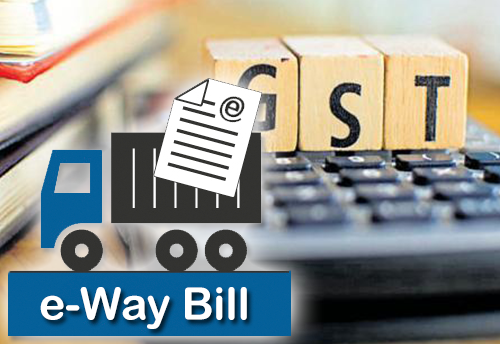 KA-NI-1014/XI-9(52)/17-U.P.GST Rules-2107-order(31)-2017 dated July 22, 2017 has mandated to have E-way bill 01/ E-way bill 02/ E-way bill 03/ TDF 01 for all taxable goods whose value exceeds Rs. 5,000/- coming from outside UP to the state. GSTN portal has started uploading of specified particulars of outward supply invoices of businesses generated after GST rollout. If the taxpayer has limited number of invoices into GSTR-1 from July 24, 2017. This invoice upload facility is available 24×7. Query: In case of switchover from taxable to exempt transactions or from Regular to composition whether input tax credit is fully restricted? Answer: Yes. 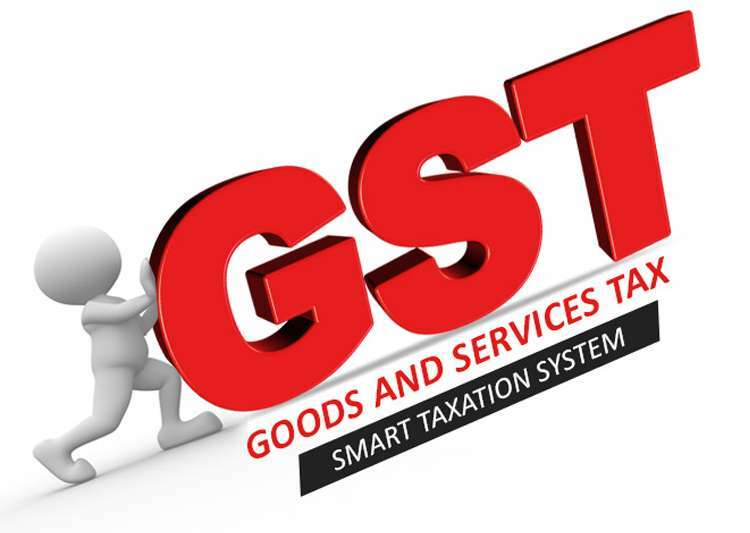 In terms of Section 18(4) of the CGST Act, an amount equal to the credit of tax paid on stock held (inputs, semi-finished goods or finished goods) and capital goods (reduced by percentage points) on the day preceding the date of opting for composition/ effecting exempt supplies will have to be paid. The same can be paid by utilization of credit/ cash payments. MCA specified the constitution of two review committee (s) reviewing the 10 year old and above case of different regions and in office of SFIO for withdrawal of prosecutions. Vide notification no 16/37/2017, dated 25th July 2017. MCA make Chrification regarding. appticability of exemption given to certain private cornpanies under section 143(3Xi) of the Companies Ac! 20.1.3. Vide notification no W2014- CL-v, dated 25th July 2017. Exemption to private cos. on reporting of internal financial controls by auditor applies from April 1, 2016: MCA Circular 8/2017, Dated:25th July, 2017. SEBI has notified stricter participatory notes (P-notes) norms stipulating a fee of $ 1,000 that will be levied on each instrument to check any misuse for channelizing black money. CBDT lays down Standard Operating Procedure to handle revenue audit objections. No reassessment on basis of change of opinion that income was to be taxed under different head on income. Gujarat High Court Radhawami Salt Works Vs ACIT. Invoice data upload functionality has gone live at GST Portal. Offline Utility for GSTR-1 for upload of invoice data/other records is available on GST Portal under Download section. Tool is to be used to import data from Excel template which is bundled with Offline Tool. Creation & saving of Outward Supplies Return (Form GSTR-1) is now available on GST portal. Data uploaded can be viewed by counter party in Form GSTR-2A. Query: Whether taxes paid on change of interiors of service apartment is eligible for input tax credit? Answer: Input tax credit is not available on goods or services received by a taxable person for construction of an immovable property on his own account other than plant and machinery even when used in course or furtherance of business. The word “construction” includes reconstruction, renovation, additions or alterations or repairs to the extent of capitalization to the said immovable property. If the cost of interiors is capitalized towards the cost of immovable property then it forms part of the cost of immovable property (Service apartment) and accordingly taxes paid on change of interiors of service apartment will not be eligible as input tax credit. The Reserve Bank of India has today released the data on Outward Foreign Direct Investment (OFDI) indicating the comparative position for the month of May 2017 and June 2017 and for the month of June 2016 and June 2017 both under Automatic Route and the Approval Route, for the month of June 2017.Vide press release 223, dated 25th July 2017. CBDT has clarified that, where the recipient of a service is required to deduct TDS when making a payment to the supplier, the amount of TDS shall be computed without grossing up for the GST component, which is also part of the bill. CBEC specified extension of time limit for filing intimation for composition levy under sub rule (1) of rule 3 of the CGST Rules, 2017. Vide notification no 345/114/2017, dated 21th July 2017. GST Taxpayers who were provisionally migrated by virtue of being registered under the existing laws, but who are no longer required to be registered under GST, the period of applying for Cancellation of Registration is up to 30th September, 2017. Query: In case the amount is paid partly to the supplier of service, whether full taxes can be adjusted first? If No then whether it has to be calculated proportionately? Answer: No. there is no provision under the GST law to allocate part payment of the invoice towards the taxes first so that the input tax credit can be allowed. Second proviso to Section 16(2) of the CGST Act clearly provides that the entire value of supply (with tax) is to be paid within 180 days from the date of issue of invoice. Therefore, as long as the entire payment is made within 180 days, the recipient would be entitled to claim the credit in full. Assuming that only part payment is made within 180 days, availing of proportionate credit based on such part payment is not provided for under the CGST law and thus, would be subject to litigation. Finance Minister Arun Jaitley today introduced a bill to repeal SBI (Subsidiary Banks) Act and State Bank of Hyderabad Act following the merger of five associates with the parent SBI. More than 160,000 companies been deregistered and a series of actions are being taken against shell firms. Out of the 162,618 companies that have been struck-off the register, the registration of 33,000 were cancelled by RoC (Mumbai). Form AOC-4, CRA-2 and 21A were recently revised on MCA21 Company Forms Download page. Stakeholders are advised to check the latest version before filing. “Put your heart, mind, and soul into even your smallest acts”. The filing of intimation for composition levy under sub rule (1) of rule 3 of the CGST Rules, 2017 has been extended upto 16-08-2017 vide order No. 01/2017-GST dated 21-07-2017. Supply of Service by RWA or Registered Non Profit Entity to its own Members not taxable to GST. The exemption is Upto Rs 5000 per Member per month. If the aggregate turnover of such RWA is Upto 20 Lakh in a Financial Year then such supplies would be exempt from GST even if the charges per month per member is more than Rs.5000. Goods bought with loyalty points will face tax under GST. GST would be levied on the total price of the product and not on the discounted value after adjusting the bonus, loyalty or rewards points. Query: If certain goods/ services are used partly for business and partly for non-business purposes, will the credits be allowed in full or proportionately? Answer: The credit on goods/ services used partly for business and partly for non-business purposes will be allowed proportionately to the extent it is attributable for business purposes. The manner of calculation of such credit is provided in Rule 7 (1) of the Input Tax Credit Rules, 2017. SEBI plans to reduce the time taken for a security to list on an exchange to three days from the date of closure of its initial public offer (IPO), instead of the earlier envisaged timeline of four days. NSE sought a settlement with the markets regulator over allegations that it provided unfair access to its high-frequency trading systems to some brokers. NSE applied to the SEBI for a settlement through the so-called consent mechanism.